Disclaimer: This post is sponsored by Oral-B. I was provided with a new Oral-B toothbrush and compensated for this post. That said, all words, opinions, and thoughts expressed are my very own. I was recently asked what makes me feel the most beautiful, and my first response was, my smile! Even though I work so hard, day in and day out as a fitness professional and enthusiast, to maintain a healthy body, my response to what makes me feel beautiful had nothing to do with a sculpted body part. When I thought about it, I realized that I sweat, move, and eat healthy on a daily basis so that I can feel and look good. I move so that I can wake up every morning with a reason to smile. The funny thing is, everywhere you turn in the fitness industry, you can find information on how to tone and strengthen your body, how to eat a more balanced, healthy diet, and even how to take care of your skin; but one thing that often gets neglected is how to keep our smile looking good – in other words, our oral health. That’s right. I’m talking about those pearly, or ahem, semi pearly whites. Your smile. Your chompers. Your teeth! All joking aside, if your teeth aren’t so sparkly white anymore, and your gums bleed at the sight of floss, it’s time to start taking care of your mouth the same way you take care of your body. Your mouth is part of your body, after all. Brushing your teeth sends a signal that mealtime is over, and may help with portion control. Try having a healthy meal and then, before you are tempted to eat anything else (like say, dessert or late night snacks), go and brush your teeth. This will signal to your appetite that mealtime is over. Brush for a healthier heart. There is a link between unhealthy gums and heart disease, meaning if your gums are inflamed, you have an elevated risk for heart disease. Gum disease from prolonged bacterial exposure can lead to cardiovascular disease as it may increase the inflammation level throughout the body. Plus, unhealthy gums don’t look great when you’re cheesing and flashing that gorgeous smile! 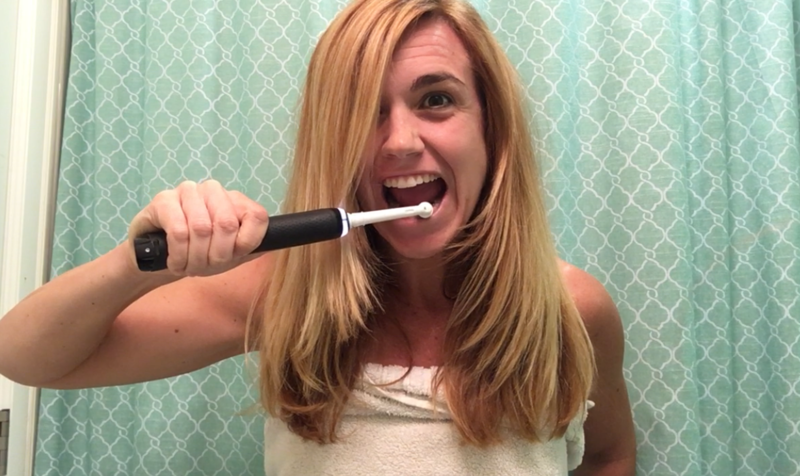 Want to start taking better care of your oral health today? 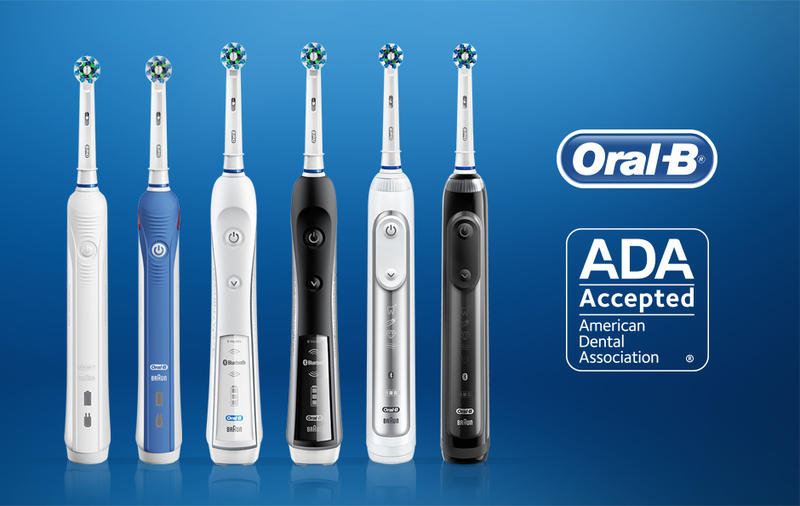 And if that’s not enough, Oral-B’s power toothbrushes are the only toothbrushes on the market to receive the ADA (American Dental Association) Seal of Acceptance. 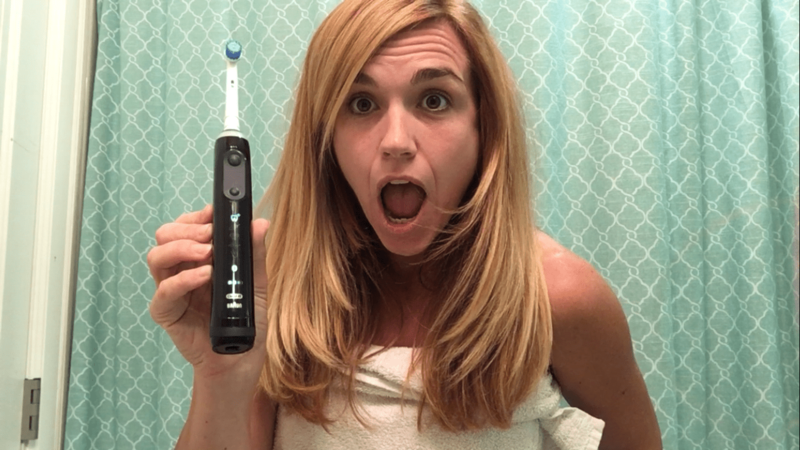 It’s a toothbrush that your dentist really wants you to use! The Oral-B ​models accepted include: Oral-B Pro CrossAction 1000, 1500, Oral-B Professional Care 2000, Oral-B Pro 3D White 3000, Oral-B Pro SmartSeries 5000, 6000, 7000, Oral-B Pro Genius 8000. You can find all of the models here. Don’t forget that your mouth matters. Take care of your chompers the same way you take care of your body, and you’ll have better overall health! Woah, heart health and oral health are related? 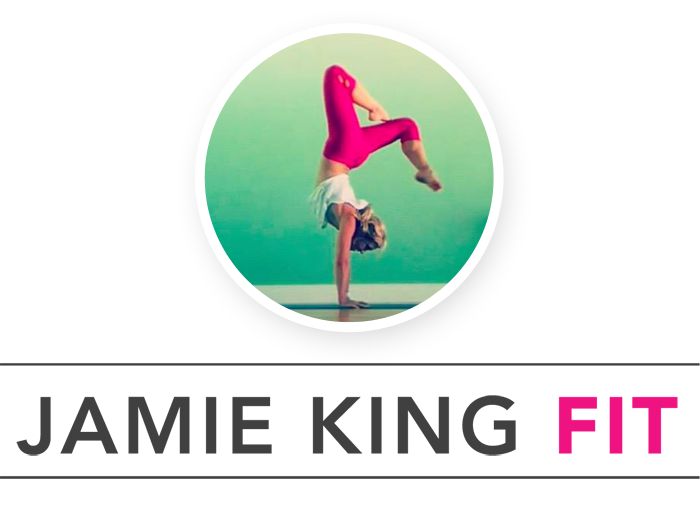 I had no idea – now I know that a cardio workout needs a side of regular brushing for maximum rffectiveness! I know…who knew? Gotta keep those teeth CLEAN! Who would have thought! Love this whole new perspective on health though. Thanks for sharing! I know, it’s so crazy how linked mouth and body are! Makes sense. We all know our mouth is the most dirtiest among our body. We put almost everything on it. If you know what I mean.